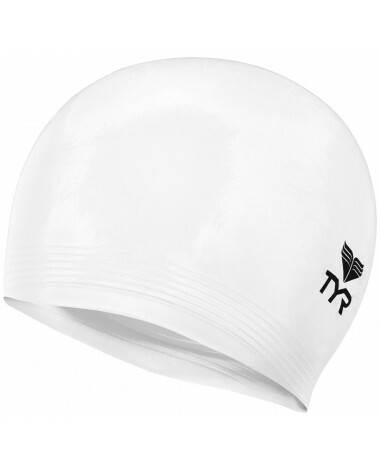 Make every swim streamlined in the TYR Latex Youth Swim Cap. Designed with a durable ribbed edge and latex construction, the LCLJR provides both male and female athletes with powerful features including drag reduction and tear resistance. In addition, a secure fit helps to ensure it stays in place while you swim. 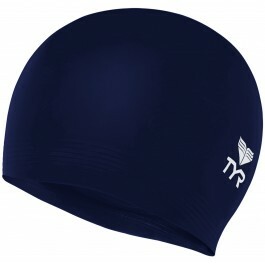 It is a nice swimming hat but if you have long hair, it is really hard to put it on. Q: Is the junior for kids or teens? A: Thank you for your inquiry. We recommend the Solid Latex Jr Swim Cap for children age 6 and up, but depending on the child's size, it can fit younger children.